Unbeatable value for a high-quality sheep and goat trimmer. Strong, comfortable handles. Cutting stroke is ultra-smooth. The steel blades are serrated and truly hold an edge. Gently rounded tips make cleaning manure from hooves safer. 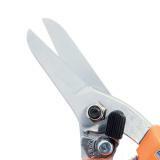 Serrated blades "grip" hard hooves when cutting force is applied—all but eliminating slippage. Premier cannot resharpen serrated blades. Love these trimmers. But what is even better is that Premier stands behind their products. When we had a problem with one set that we ordered, Premier replaced them promptly and without question. It's that kind of customer service that makes us return customers. Great tool for using with our goats. They cut nice and smooth, and do not seem to dull. And at a great price... we have 4 pairs of these to keep handy when out and about. It got dull just trimming 11 goats, in 2 hrs. The blade lock didnt work like it should. And they cost 26.00 cheap quailty. 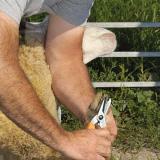 Great sheep hoof trimmer. I especially like the serrated edge and small size. 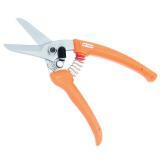 The only shears I will buy now. 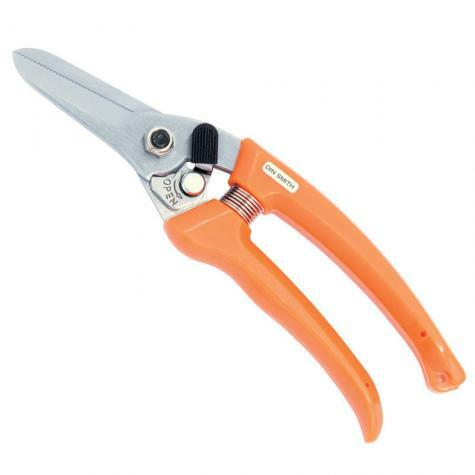 These are super clippers. Inexpensive but work really well.